Technology and the Internet have changed how we write, edit, and teach. But how have things changed for these professions? At that time, Internet content was still in its relative infancy. Thus, going to the library and browsing through dusty tomes was still very much a necessity. But as personal computer storage and processing technology has exponentially grown, how we write, edit, and teach has also changed. With two-terabyte hard drives now on our doorsteps, we can store the equivalent of an academic research library on our computers. As broadband and high-speed internet availability continues to grow worldwide, more people are able to access more data using the Internet than ever before. What have these changes meant specifically for those who write, edit, and teach? Generally speaking, exponential technological growth not only has changed how writers, editors, and teachers around the world conduct research, but it also has changed what medium is used to conduct the tasks of their profession. Computers, word processors, and projectors have all brought changes to how people in those professions work; however, the Internet arguably has had and will continue to have just as big an impact. Now don’t be deceived by this statement; millions of professionals still depend on reference books, red pens, and chalkboards to do their jobs. These materials still play an integral part in their professional lives. Yet every day, more people are using technology to learn skills, share information, and connect with people. It would be foolish to deny the slow shift in paradigm created by new technology. For example, when I spent my time as a freelance English tutor in Spain, the academies I worked for had physical materials available for me to supplement my classes. Yet much of the material was stale and outdated; I would have been ignored by my students if I had used it because it wasn’t relevant. Instead, I used the Internet to my advantage. After determining the interests of my students, I was able to find useful and relevant material with a few keystrokes. That material was then used to supplement my own ideas and personality as a teacher, providing a richer and more interesting classroom experience. An even more interesting example is supplied by shining a light on one of my current income sources—editing Web content. 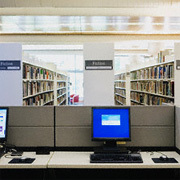 While editing used to mean going to the office to review and mark manuscripts, news articles, or research papers, now a significant amount of that material can be edited from home using a computer and an Internet connection. I’m able to log into a client’s Web mail, edit article submissions, and post them to an online blog, all from the comfort of my home. If there is a style issue that my Chicago Manual of Style doesn’t clearly address, I can dig around on the Internet for an answer. There are other clues that professional paradigms are slowly changing due to technology and the Internet. Copyright infringement has become a much more publicized issue with the digital age. The world’s civilizations are becoming more connected. They’re sharing more ideas and information than ever. As more people are compelled to convert physical media into digital media and share it with others over the Internet, questions of rights ownership and legality are raised. Who owns a digital book, song, or game? Can copies be legally made? Is sending a copy of a digital book to a friend the same as loaning a physical copy to a friend? Another clue that things are changing can be found by examining the journalism industry. As more people turn to the Internet as an outlet for free news that interests them most, the economic model that has long kept the newspaper business running becomes irrelevant. Investigative reporting and in-depth analysis in journalism is dying with the newspapers, no longer able to financially support that type of reporting. The news content and how it is written and edited has changed with the Internet, for better of for worse. What else? Teachers now can give courses over the Internet, forcing many to rethink how new material is learned. Smaller publishing houses that can easily target niche markets using social networking tools are able to thrive in a publishing industry that took a big hit at the end of 2008. Content providers that can quickly produce and distribute written content on-demand are slowly pushing out those that can not or choose not to adapt. All of these changes are a sure sign that how we approach our profession has changed. It will likely continue to change. But what are some of the roadblocks that we currently face? What challenges arise with the growing prevalence of technology and the Internet in our industries? In the second part of this article, I’ll address those questions and more as we take a look at the future challenges faced by writers, editors, and teachers. Stay tuned.